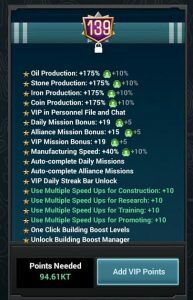 Recently higher levels of VIP have been released, up to the new maximum of VIP level 140. 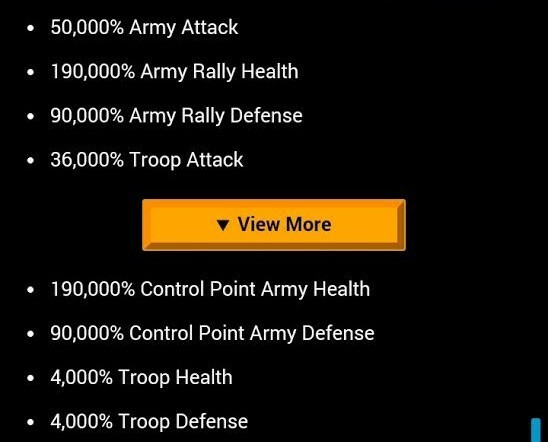 As you can see, the biggest boosts will benefit bigger players who attack often- increased attack, and massively increased army health and defense at the control point. For traps and smaller players, the troop health and defense bonuses are relatively small. Reaching VIP level 140 will take me 145.1KT points… that is a LOT! 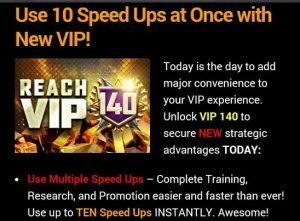 Obtaining VIP level 140 is no easy feat- it requires several large packs being bought to get that many VIP points. 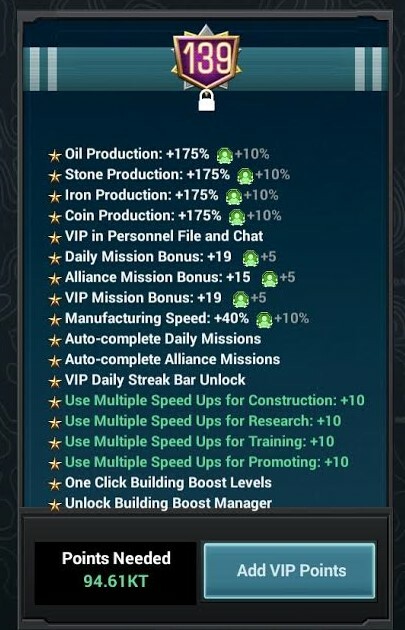 However, as you see, the main new boost from this level of VIP is being able to use multiple speed ups in promoting, training, construction and research. This will save you many taps on long researches and enables you to use smaller speedups which you may have plenty of, up to ten times faster than before. 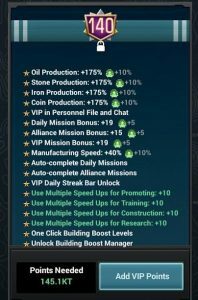 There is currently a challenge ongoing- the race to VIP level 140. There is no guarantee how long it will be available for, but while it is, prizes will be awarded for reaching tier 1,2 and 3. Unless you are an active rally leader who participates at the control point, the cost of getting to VIP 140 is likely too high to be worthwhile. Current packs of $99.99 only offer 20KT VIP points. 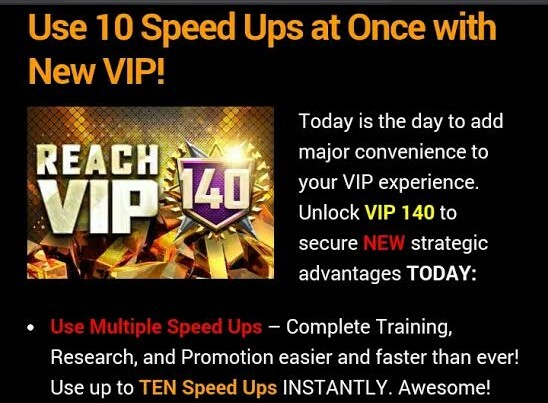 Including any bonuses, over-rounding to 50KT VIP points per $100, it means unlocking VIP 140 would cost 3 packs. I would suggest going for a slightly lower VIP level, like 139 to gain more value for your money. 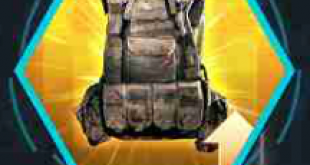 You can then wait till more VIP points are given in packs before increasing your VIP level. 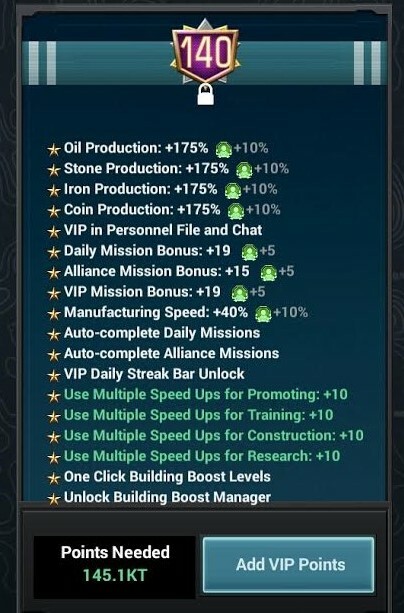 VIP level 139 still allows you to use 10 speedups per tap, but is available at under 100KT VIP points. This makes it much more affordable and is thus a better value for most players.